2017-2018 SC Saragoza's youth's teams will practice mainly on Sundays. The oldest youth players play together with the men's team. The official scores, standings and stats are provided by the Finnish Floorball Federation and can be found here. Players, scores, standings and stats can be found on the right, news and articles here below. If you want to browse previous seasons scores, standings and stats, select the season from the menu above. P� grund av damernas kvalturnering har vi lite udda tider f�r juniortr�ningarna idag, den yngsta gruppen tr�nar mellan 09:30-11:00 idag och den �ldre gruppen b�rjar efter att den sista matchen i kvalturneringen �r f�rdigspelad, dvs ca 17:00-18:30. Seriespel f�r b-juniorer s�songen 2019-2020? B-juniorijoukkue sarjassa mukana kaudelle 2019-2020? Kristiinan alakoululaisten salibandy-turnaus pelattiin Kristiinahallissa torstaina 5. huhtikuuta. Kantakaupungin koulu - Kristiinan ruots. alakoulu 1-2, Lapv��rtin ruots. alakoulu - Kristiinan ruots. alakoulu 2-0, Kantakaupungin koulu - Lapv��rtin ruots. alakoulu 0-1. Tytt�jen loppuottelu: Lapv��rtin ruots. alakoulu - Kristiinan ruots. alakoulu 1-0. Kantakaupungin koulu - Kristiinan ruots. alakoulu I 3-0, Kristiinan ruots. alakoulu II - Lapv��rtin ruots. alakoulu 1-3, H�rkmeren ruots. alakoulu - Kantakaupungin koulu 1-0. 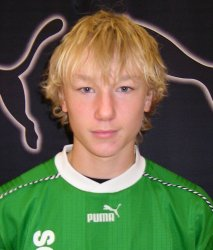 Kristiinan ruots. alakoulu I - Kristiinan ruots. alakoulu II 11-1, Lapv��rtin ruots. alakoulu - H�rkmeren ruots. alakoulu 0-8, Kantakaupungin koulu - Kristiinan ruots. 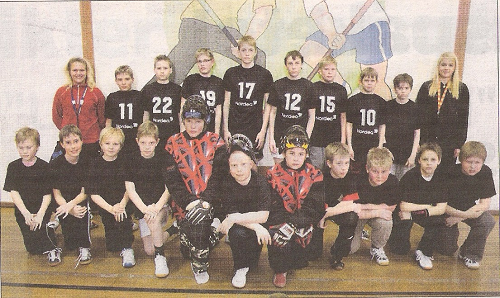 alakoulu II 11-1, H�rkmeren ruots. alakoulu - Kristiinan ruots. alakoulu I 3-1, Kantakaupungin koulu - Lapv��rtin ruots. alakoulu 2-0, Kristiinan ruots. alakoulu II - H�rkmeren ruots. alakoulu 0-8, Kristiinan ruots. alakoulu I - Lapv��rtin ruots. alakoulu. H�rkmeren ruots. 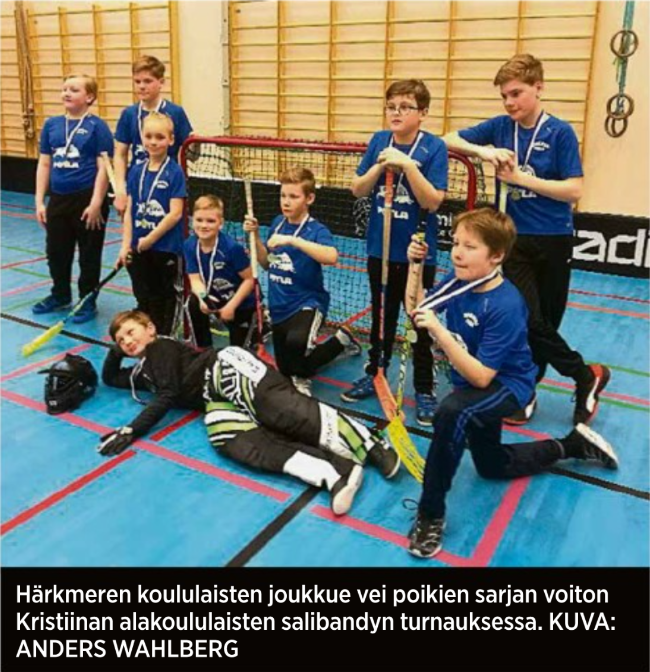 alakoulu - Kantakaupungin koulu 5-1. Innebandyn ska v�xa och SC Saragoza har nu fyra juniorgrupper som tr�nar regelbundet. Men de �r inte tillr�ckligt m�nga f�r seriespel. Nu �r det definitivt. SC Saragoza ska starta upp en juniorverksamhet igen. 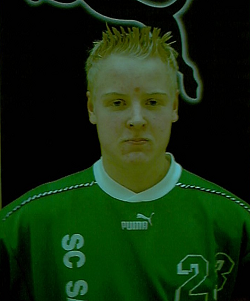 Det �r snart tio �r sedan man spelade juniorinnebandy p� serieniv� i regionen. Nu �r �ntligen ett lag p� g�ng. 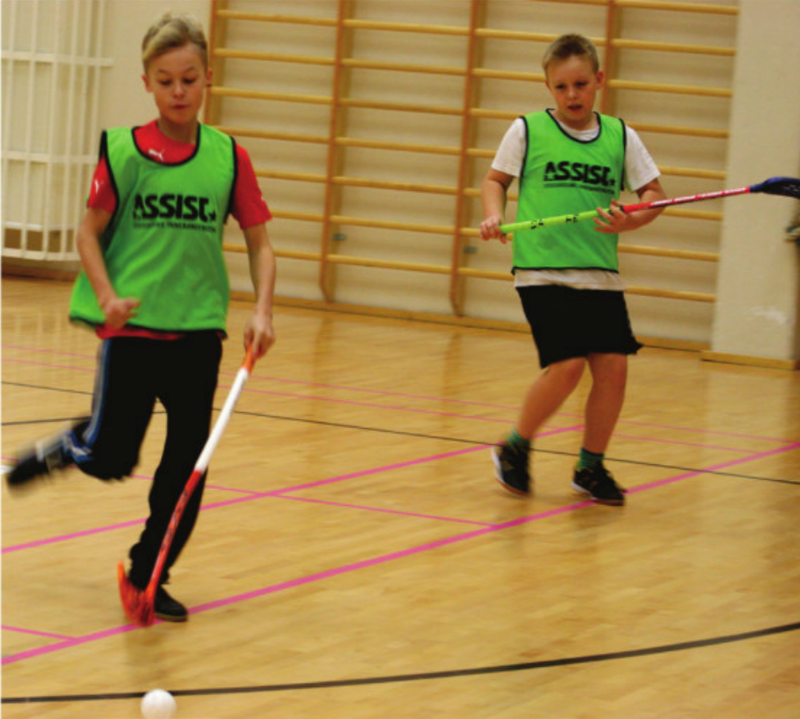 Ett juniorlag i innebandy �r p� g�ng i Kristinestad. Intresserade har tr�nat sedan h�sten. Nu �r det dags att delta i den f�rsta turneringen. SC Saragozas C87 juniorer tog f�rsta segern f�r s�songen i den fj�rde turneringen som spelades i Nurmo i l�rdags. M�lskytt. Peter S�derlund gjorde tv� m�l i Saragozas segermatch �ver SPV II. Sebastian Sj�gren plockade flest po�ng av C-juniorerna i Kristinahallen. Pohjanmaan joukkueen johtajana toimi lapv��rttil�inen Mats Backlund (takana toinen vas.) Kristiinalaisnuorista joukkueeseen kuuluivat Jari Viitanen, Tuukka Rantam�ki ja Eero Haapala. Juha Luoma-Keturi (vas.) puolustuksessa ja Petteri Kilpivaara maalissa pelasivat niin hyvin, ett� heid�t valittiin alustavasti aluejoukkueeseen. Here you'll find a bunch of records and statistics, starting from the first season that the team existed, 1998-1999, until the last season SC Saragoza participated a youth team in the series, 2005-2006. 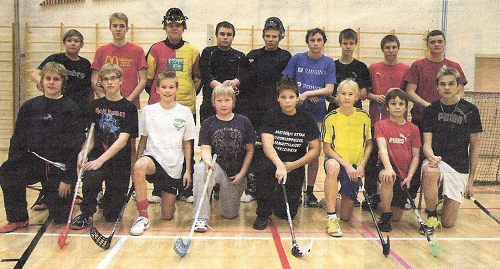 During these years, SC Saragoza's youth teams have played 189 competitive games in the series arranged by the Finnish Floorball Federation. Out of these, the teams have won 30 games, drawn 12, and lost 141. The teams have gathered 74 points and scored 569 goals, while allowing 1336. 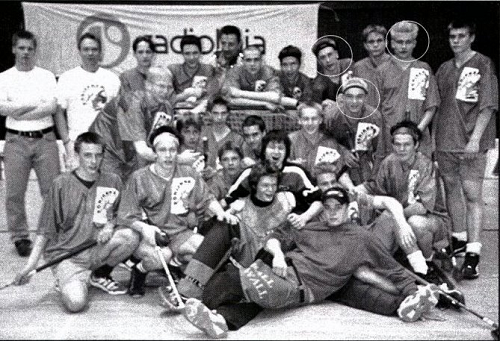 The record for highest amount of games, representing SC Saragoza in the competitive series facilitated by the Finnish Floorball Federation, is currently held by Sebastian Sj�gren (71). The record for most points is currently held by Tuukka Rantam�ki (32+40). The largest amount of goals have been scored by Sebastian Sj�gren (48), the record for most assists is held by Tuukka Rantam�ki (40) and the record for being the most penalized player is held by Sebastian Sj�gren (114 min). 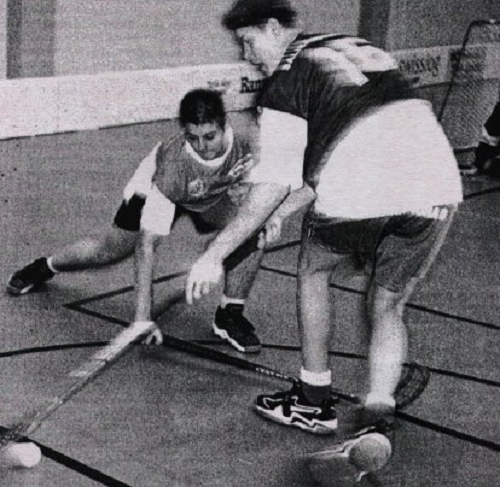 Throughout the years the teams have obviously played quite a few practice games. Unfortunately the documentation from these games is far from complete, but out of what has been documented the following can be retrieved. SC Saragoza's youth teams have played 10 practice games. Out of these, the teams have won 7 games, drawn 0, and lost 3. The teams have gathered 14 points and scored 77 goals, while allowing 50. The record for highest amount of games, representing SC Saragoza in these practice games, is currently held by Christoffer Hedman (6). The record for most points is currently held by Anthony Hannus (13+4). 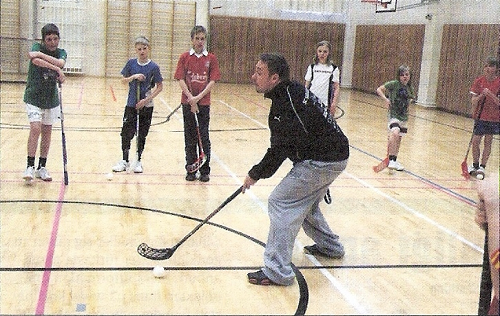 The largest amount of goals have been scored by Anthony Hannus (13), the record for most assists is held by Sebastian Sj�gren (7) and the record for being the most penalized player is held by Sebastian Sj�gren (4 min). On the right side you'll find the full statistics, follow the link to respective player if you are interested in their individual scores.